On June 10, 2018 the world lost Dr. Richard W. Kobetz. “Doc” to his friends, this great man left behind family, friends and professional associates who will forever miss his humor, knowledge and passion for life. Patrolling the streets of Chicago, international law enforcement, executive protection at the highest level, and creating and delivering innovative training programs were all just a day in the life of this exceptional man. "Doc" served his country while working closely with every president between Kennedy and George W. (his favorite was Ronald Reagan). He worked with world leaders, royalty, celebrities, and religious leaders to keep them safe. His training and support of those in the protection profession is, and always will be, unmatched. He retired a Commanding Officer from the Chicago Police Department, served as Assistant Director of the International Association of Chiefs of Police and was a delegate to INTERPOL. 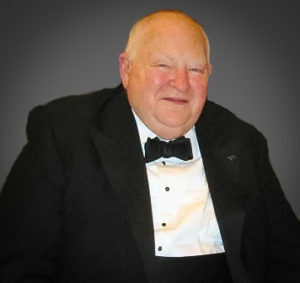 Doc founded the Executive Protection Institute and created the Nine Lives Association. Most recently, he was a Captain on the Gretna Louisiana Police Department. Dr. Kobetz’s accomplishments included presenting in front of the United Nations in Vienna and providing security for the U.S. Olympic Fencing Team in Sicily. He was an accomplished author and lecturer.